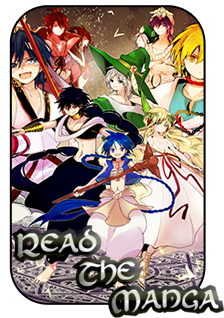 Magi: The World of Magic » Creation Center » Job Center » Approved Assignments » Whalefall. Assignment Overview: Farid Issah's father was the right-hand man to the former King. To find out and meet the politician who had disbanded the cabinet of Balbaad, Farid goes to meet his fathers old contacts for help. This contact is the essence of the old king. Corrupt to the core and full of greed. Establish a deal and you can go on your way. Assignment Overview: Through his father's old connections, he has met the one who is responsible for emptying out the cabinet from under Mirah Al-jabiri's nose. He sees the potential in your eyes, but you must at the very least acquire the necessary goods before you can even have a chance to prove yourself. The dissenter demands your allegiance in the form of a promise, before you move forward. That in the future, you will remove Mirah Al-Jabiri from her office. Assignment Overview: Farid heads to the ports of Balbaad and begins recruiting some shiphands to keep the basics of the ship and its maintenance in shape. However, the ship hands decide they can kidnap and steal from a new merchant with no experience and make some quick cash. Time to show them whose boss and maybe earn some respect. Abilities: The Bandit may sprint up to 9m/s. 1 C-tier Imuchakk Melee Second Mate. Assignment Overview: Farid had found the frame of a crew, but now he would need to assign people to hold the fort if he wasn't available, people with more experience and fighting finesse. Farid decides to visit other trading companies to recruit some bettered talent. The Western Balbaad Trading Company offers an exchange program. They offer their lower ranking officers better positions as part of other crews for better training but also as an information gathering system, but there is one more condition. Show you are capable of protecting their crewmen. Description: The Rampaging Chimeracorn is 10 meters long and 3 meters wide. It’s tail takes up 3 meters of its length. Rampaging Chimeracorn can swim at 20m/s and move on land at 10m/s. The fangs can deal B-tier damage. The Rampaging Chimeracorn features hardened skin along the sides and back of the creature which reduces damage by one tier tiers. The underbelly of the creature is sensitive and takes damage normally. Thrash: The Rampaging Chimeracorn swats its tail in any direction. This causes a wave of wind about 10 meters tall to surge forward at a pace of 15m/s. It causes B-Tier damage and can push a target back by about 20 meters. Charge: The Rampaging Chimeracorn charges in a direction at 25 m/s over 30 meters to pierce a target with its fangs dealing A-Tier damage. Fireblast: The Rampaging Chimeracorn sends at ten to fifteen meter long projectile of fire at a target to deal A-tier damage. Assignment Overview: Talking to your father's old connection, they seem to take pity on you. They offer you an old ship, you must take your time to get it repaired and help repair a few of their other shis as well, which helps you also get familiar with the ship. Assignment Overview: You've been called in to prove yourself. The Dissenter is willing to see if it's worth putting his name behind yours to help you establish yourself, but before anything, you have to carry some slaves from the mainland of Balbaad to one of its islands. When you accomplish this, he will now put his favor behind you, but this is precious cargo... You might have to defend it. Assignment Chain Rewards: Whalefall Charter + 20 Copies + Wax Seal of Balbaad + A Metal Badge of Balbaad. Assignment Overview: Reveal the crew and ship to Minister Al-Jabiri, and now support from the public, thanks to the Dissenter. You must now spend time to convince Mirah you are worth having this charter, stating your influence, your ability and your resources, while defending your questionable past and connections. She will explain this charter is only temporary, three years, but will give him a chance to trade with other nations on Balbaads behalf. Te jobs are too generic. One size fits all is no good. Also, researching markets doesnt get the trust of a country for merchant expeditions. I'd like to see tis chain more focused with different job tiers appropriate for the rewards. Get the ship in one job, obtain a product in another job. Get men in a job then with a ship, goods, and manpower getting a charter could be another job where you impress or indebt some politician to get the charter. And no copy paste job descriptions. Describe the juicy job details. What is the goal and HOW will it be achieved? -Your Shiphand and First/Second mate jobs Assignment Overview sections aren't complete. -A monopoly on trade with Balbadd is a bit extreme considering what you're offering Balbadd in return. Tax/Tariff exemptions are more reasonable. I am expecting this will be the final bump. Creating this was more work than finishing it but I would like to thank the people who helped me flesh out this quest and all other sorts of guidance along the way. Here comes a new challenger.